Australia Pakistan Medical Association's Eid Milan cruise on 02 July 2017, managed to raise over $25,000 to support CLAN in achieving better health outcomes for children in desperate need of help in Pakistan. This was not possible without generous support of APMA members and Patrons. This donations give HOPE to these children and will go a long way in bringing change to their lives. The Executive committee of Australia Pakistan Medical Association met with the Founder of CLAN Dr Kate Armstrong on the 8th of August 2017. A cheque of $27,000 was handed over to Dr Kate Armstrong by the former President of APMA, Dr Sayeed Khan. On this occasion, the President Australia Pakistan Medical Association Dr Imran Kassam said that today simple ceremony will be surely extremely significant day for APMA/CLAN partnership for charity work. 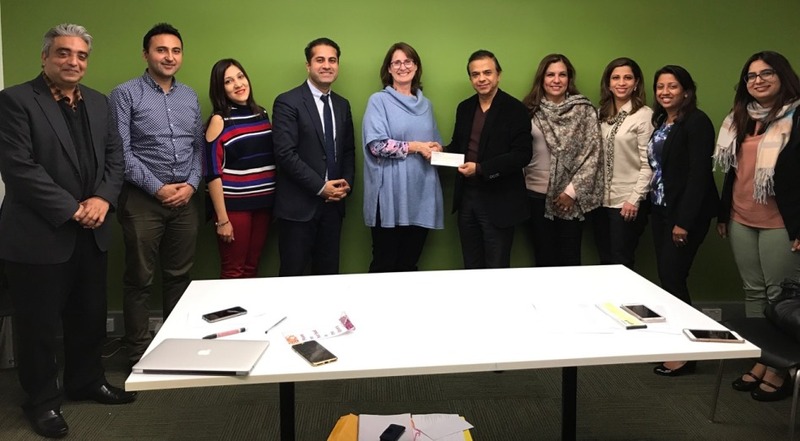 Through this partnership APMA hope to improve the health outcomes of children and adolescents living with chronic health conditions in Pakistan. Looking forward to working with CLAN to achieve our mutual goals. A huge and humble thank you to all donors who made this possible.